The proper response to suffering is to grieve. I’m a heart specialist, not a behavior modification specialist. I am really big on three things: the soul, grace and purpose. I believe in self development and I believe God transforms. I’ve been changed in ways I cannot even believe at times, because the word of God has truly changed me. But in certain areas, I find that it is a slow process and barely any progress. I embrace my own psyche and emotions; I study people and myself, and learned how the heart dictates the will. The heart, mind and the will operate together in deciding how we live and the direction we take. Have you ever stopped to think of gighky educated people, who become homeless or substance abusers? They never confronted their inner issues. The bible tells us in Priverbs 4, ‘guard your heart because it decides the course of your life‘. Show me your friends, I’ll tell you your future. Whats in your heart? Our hearts are the foundational blueprint of our life, our entide destiny is layed out for us according to our heart. For example, a fearful person lives in anxiety of mind. This person has no physical rest, and hesitates to go after any desire they may have- because they hold fear dearly in their hearts. An insecure person, will spend time in nothing else other than seeking love, fulfillment and happiness in others, because their heart is filled with self doubt, worthlessness or self hate. An ambitious person, on the other hand, believes in themselves even if they fail and have to reroute again and again. A heart filled with pride, will resist love and will refuse to change. Many older people I meet, often say they are depressed because they were too afraid to go after their dreams. They had dreams in their hearts, but fear filled a larger portion of it. Families break apart, sometimes because women become mothers and forget to be wives, their children filled a greater portion of their hearts. I can’t name what is most disappointing to me, but my heart is filled with disappointment. Being disappointed is not a problem, but letting it consume me is an issue. Being depressed is not the end of the world, sulking in it, is. Grief is necessary, it is part of healing. The truth is that feelings are manageable, just like the mind. God gave us emotions, God has emotions. The bible speaks of God being compassionate, jealous, angry, loving, hating; God laughs, He gets sad and so much more. Jesus even cried, but He did not stay there. Not too long ago, God gave me a revelation through a vision about a sister of mine, in Christ. She has had kidney problems, since her youth. And God spoke about her being healed for some time, and how I was healed from depression for some time too. But then we believed the symptoms we felt, in our hearts and the illness took hold over us again. Somewhere along the way our hearts believed in a lie. Sometimes I wonder why God removes people’s desire to do certain things, but He does not do it for others. Or how He heals some people who are sick, but does not heal others. We are not to question God, but to believe according to His word: God is the God of purpose. We are not to resent God, but we are to trust that He is perfecting our hearts to have a heart after His. God desires for us to have a heart like His own. David had a heart after God’s, and he was not perfect. 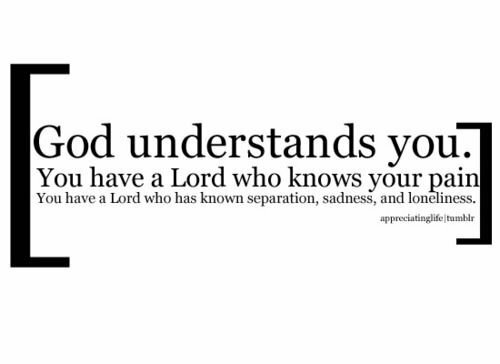 Since the Lord created us, He understands our emotions, and yearnings. 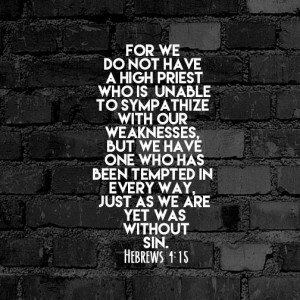 God wants us to honor Him in our lives, despite of how we may feel or situations we may face. He wants us to be a mirror of His love, to the world. How can we be effective messengers of God, holding on to impurities in our hearts? God does not reject our brokenness and weaknesses, He wants to deal with them if we are willing to let them go. I like a quote I’ve come accross often, “God can heal your broken heart, He just needs all the pieces“. Today, I ask you God to take our broken pieces and renew a right heart within us. May you turn our mourning into dancing, and by overcoming these emotional battles, may we help others conquer as well. In Jesus name, Amen.